It has become common to hear news stories about employees who posted something on their personal Facebook, or other social media sites, and then got fired as a result of that post. Indeed, employers have, more and more, started to use social media sites as a way of monitoring their employees, even to the point of requiring passwords or access to otherwise “private” websites or submissions. However, beginning on December 1, 2013, New Jersey will follow the growing trend in other states in enacting legislation which will bar New Jersey employers from asking employees or potential employees for access to their personal social media accounts. This comports with the recent New Jersey law enacted in 2012 which bans colleges from requiring applicants to provide social media account passwords. This new law specifically prohibits employers from requesting or requiring employees’ usernames, passwords, or other access to personal accounts on websites such as Twitter and Facebook. Further, employees cannot even waive this right. Any waiver of this right is deemed void. If the employer refuses to hire a potential employee, fires, or otherwise retaliates against an employee who refuses to give the employer this personal information, the employer is subject to a civil penalty in the amount of $1,000 for a first violation and $2,500 for each subsequent violation. This amount would be paid to the New Jersey Department of Labor and Workforce Development. It is also a violation to retaliate against a “whistleblower” under this law – meaning someone who reports a violation of this law by the employer. While the original form of the law provided the employee the right to pursue civil litigation against the employer seeking financial compensation from any lost earnings resulting from the employer’s violation, Governor Chris Christie’s requested revisions removed that option for employees. 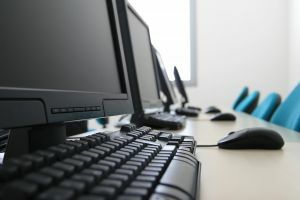 However, this does not affect an employer’s ability to monitor internet activity by an employee while using a company-owned or issued computer or smartphone. Also, employers and prospective employers are still able to seek out and view information that is publicly available on a person’s personal social media website. It only keeps private that which the employee makes private on her accounts. The social media law also does not apply to employees of the New Jersey Department of Corrections or county corrections, the New Jersey State Parole Board, or any state or local law enforcement agency. Further, if there is a potential violation of law or employee misconduct, the employer may in some cases seek information through the employee’s personal social media sites. While the scope of this exception has yet to be explored, even if access into an employee’s social media account under this exception may comply with New Jersey’s social media law, it may still violate the federal Stored Communications Act if done improperly. The attorneys at McLaughlin & Nardi, LLC are experienced with employment laws, as well as the growing area of internet and social media law developments, and can advise you of your rights both as an employer and employee in New Jersey. To learn more about what we may be able to do to help, please visit our website, or contact one of our New Jersey lawyers by e-mail or telephone at (973) 890-0004.